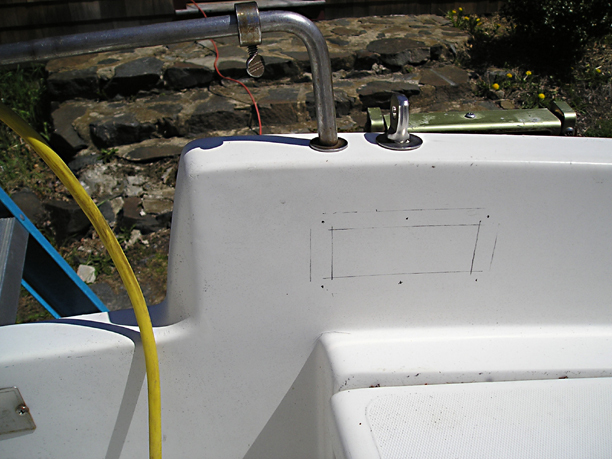 I marked on both sides of the cockpit liner where I'd cut the holes. 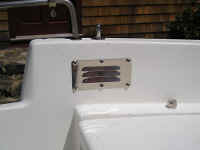 The louvered cover plates installed over the holes. 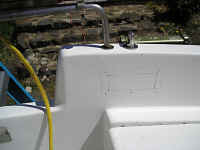 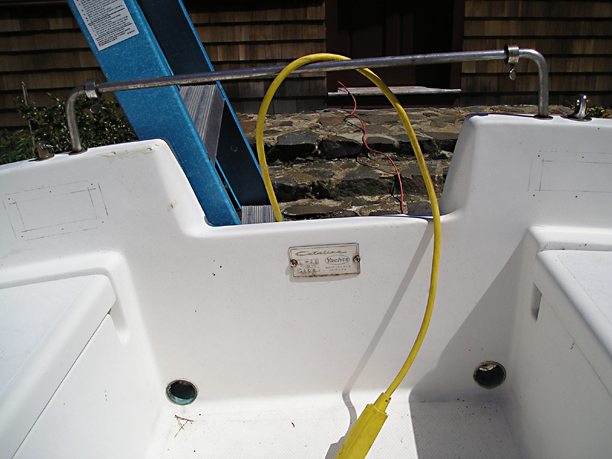 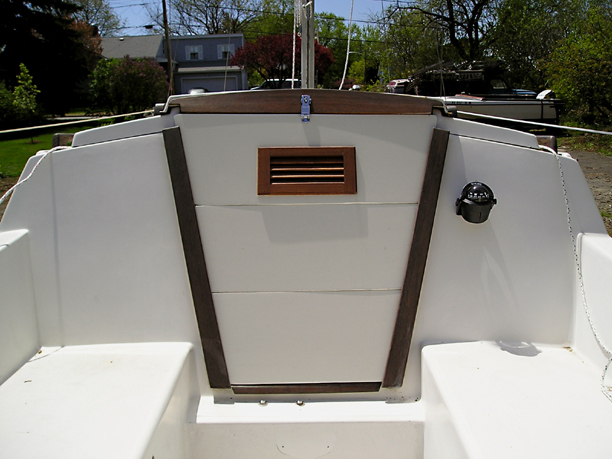 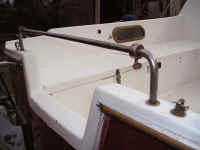 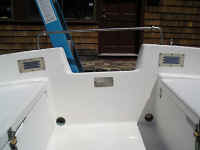 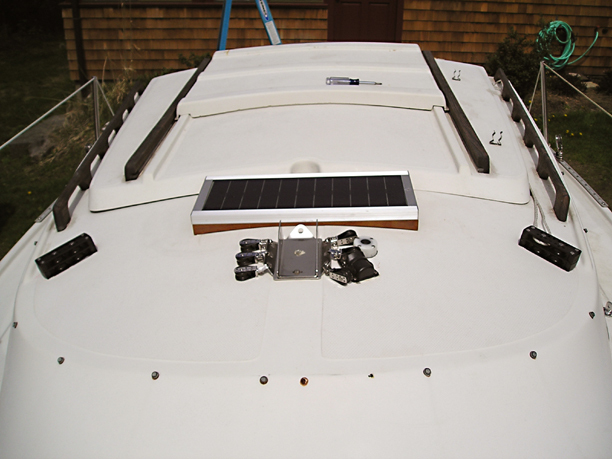 All this effort was wasted as the new portside backstay eyebolt is too tight to the transom to thread on the nut. 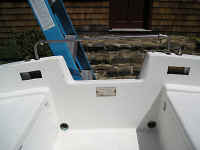 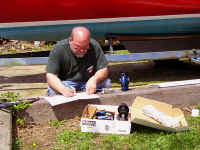 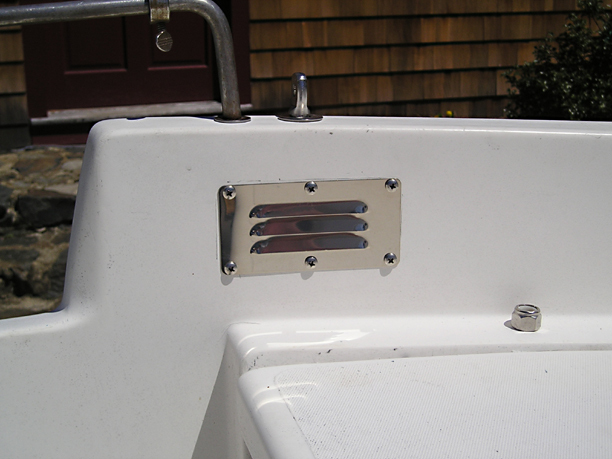 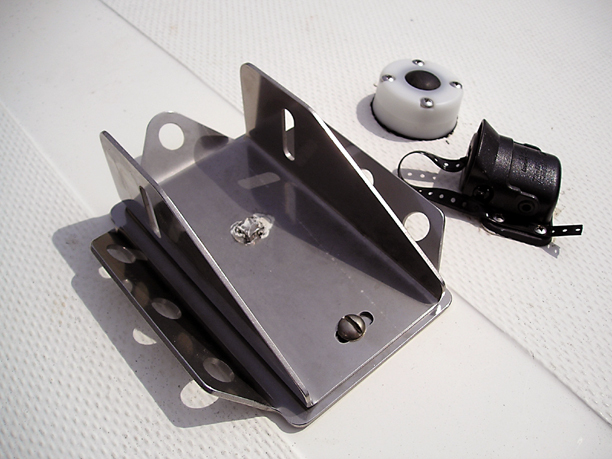 When the new 1/2" eyebolt I ordered for the starboard side arrives, I should be able to attach its nut as the bolt is better centered between the transom and cockpit liner. 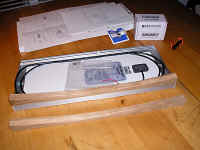 Another project underway simultaneously is installing a small solar panel.